Published on Monday, July 4, 2016. This article appears in the June/July 2016 issue of American Craft Magazine. 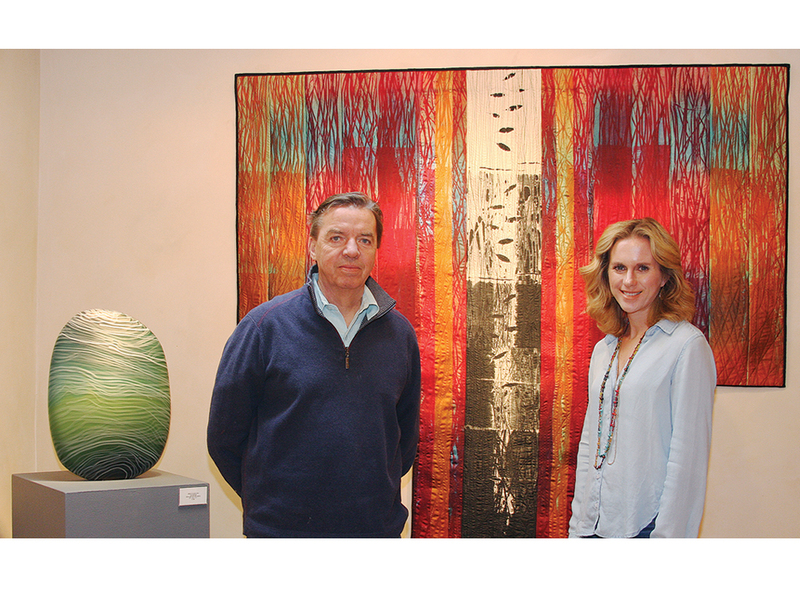 That kind of savvy – and willingness to leap – helped the couple quickly put their stamp on the business, relaunched in late 2013 as Tansey Contemporary. Mike brings substantial arts experience to the venture; since 2009, he has been co-owner of Art Miami. Jen’s expertise lies in the complementary realm of communications. Last year, they expanded, adding a second site in Santa Fe with space for large-scale outdoor sculpture. We spoke to the dynamic couple about their work. There are so many ways to be involved in the arts; what attracted you to a gallery? Jen: It was two things, really. We both loved art, and we love artists – we love the idea of art as a form of communication. 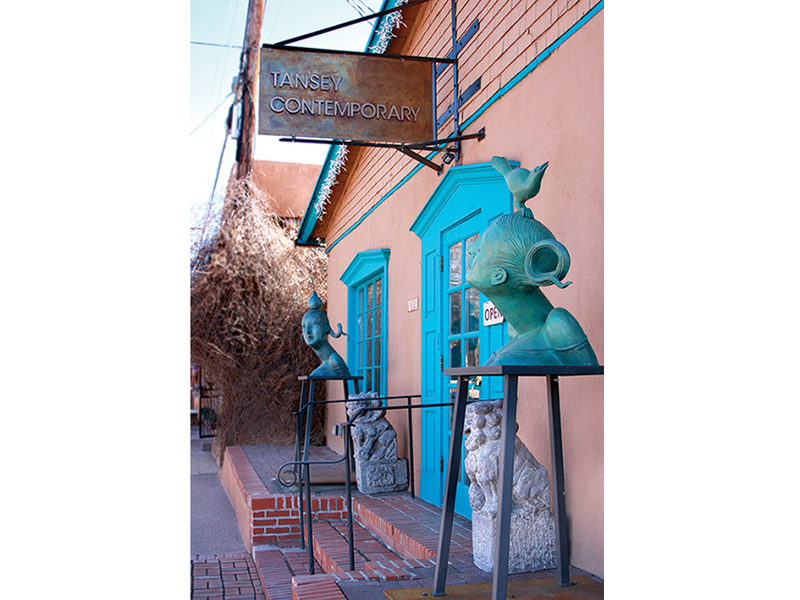 And we were spending a lot of time in Santa Fe, and we found that Jane Sauer’s gallery was for sale. Mike: I actually had a small regional gallery in Arizona, prior to this iteration of Tansey Contemporary. I’ve always been interested in the interaction with the artists – looking at how to promote their work in the marketplace. That interest has been there for a long time. For most of my career, I worked in the publishing world, but art was always there in the background. What was attractive, in particular, about Jane Sauer’s gallery? Jen: Her program was really well diversified. She had a reputation for quality, and it was centered where we wanted to be – at the intersection of contemporary crafts and fine art. So we just jumped in. I quit my job to work for the gallery full time. But it’s been a fun adventure. We’ve really liked working with our artists and getting to know them. We make a point to understand what our artists’ goals are and make sure that they’re ones we can help them reach. If we can’t, it’s not going be a good partnership for either side. That’s probably one of the most Shop Talk Tansey Contemporary important things we’ve translated from our professional experience into the gallery. Jen: Mike and I have a long history of collaborating professionally, and we were able to transfer that to the gallery business – a business that has a lot more meaning for both of us. We have a clear sense of the division of responsibilities, but also of the decisions that we share and collaborate on. Mike: Jennifer tends to deal with a lot of the detail around the messaging and the positioning. I tend to get a little bit more involved in identifying potential artists; just because of my involvement with the art fairs, I see more, in terms of things that are out there. But it’s a very collaborative effort, and there are not hard lines. How has the gallery evolved under your joint leadership? Jen: Jane was a fiber artist, and she had a strong foundation in fiber work. That’s something we want to maintain – it’s such an important part of the history of the gallery. 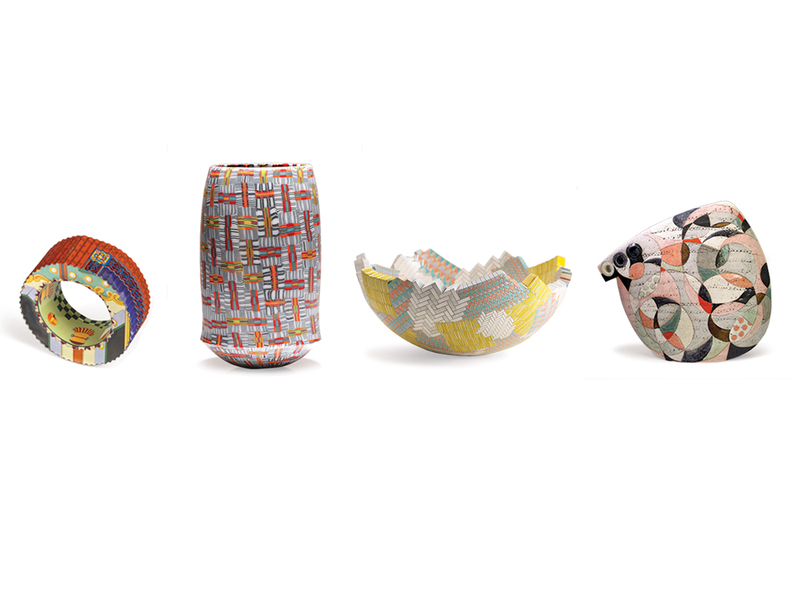 The areas we’ve really amplified are ceramics, glass, and sculpture. We’re especially focused on artists who use a variety of materials. I think it’s one of the most exciting things going on right now – the ability to make something out of anything. You also have an explicit emphasis on mastery. Can you say more about that? Jen: We believe strongly in representing artists who have mastered a technical skill. Our glass artists, for example, Giles Bettison and Lino Tagliapietra, are top craftsmen in their field. And yet they’re able to translate that skill into something born from their imagination – a work of fine art. We’re interested in that transition, that translation of skill through the application of creativity. We think that’s a category of art that appeals to a really broad range of people. So that’s why we emphasize the technique as well as the content. We ask our artists to help us communicate not only how they make what they make, but why they make it. We want to engage people with artwork that sparks their creativity. Julie K. Hanus is American Craft’s senior editor. Dakota Sexton contributed to this interview.